Aside from sharing it with loved ones, what makes the Thanksgiving meal even better? An eye-pleasing tablescape! Here are some of our favorite decorations for setting a happy holiday table. 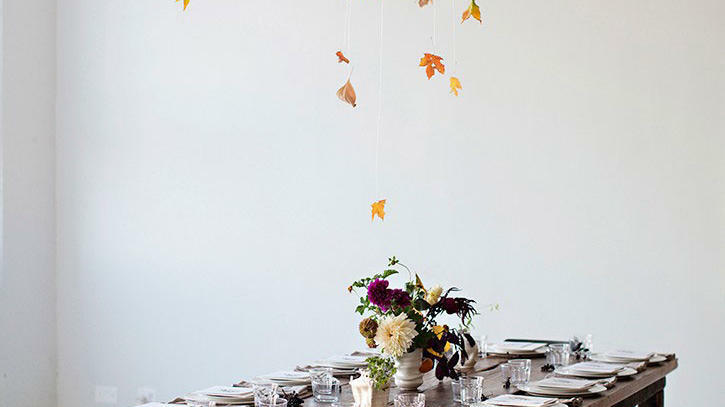 7 last-minute Thanksgiving decor ideas. How to create the most beautiful tabletop with what you already have. 10 gorgeous Thanksgiving dinnerware ideas. The tastiest Thanksgiving side dishes, plus the gear you need to make them. The cutest DIY centerpiece for the kids’ table at Thanksgiving. 3 Instagram tablescapers that will inspire your Thanksgiving.